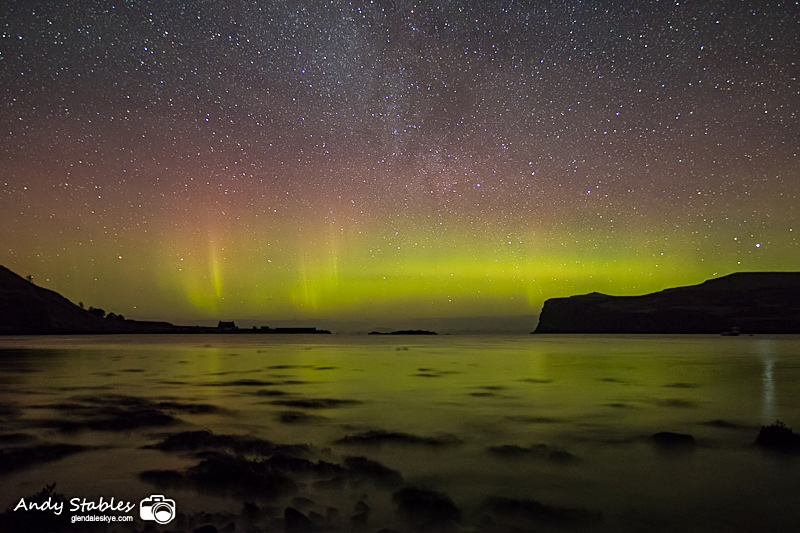 I have set up a Facebook page, Glendale Skye Auroras, to provide alerts and information about sightings of the Northern Lights in Glendale, as we are now at the peak of solar activity and likely to see regular auroras in 2012 and 2013. Click the "like" button above if you want to receive regular updates and remember to "share" with your friends. A white-tailed eagle was over the white beach at Lower Milovaig at 10:30am. At 12:40pm, the sub-adult white-tailed eagle flew across the bottom road in Lower Milovaig, over the white beach and on towards Pollosgan. At mid-day, there was a sub-adult white-tailed eagle (white-tail, brown terminal band) over Meanish that headed onto the Lower Milovaig grazings, a second juvenile white-tailed eagle flew from Dunvegan Head to join it and there were two adult white-tailed eagles at the seaward end of the Milovaig loop. There was a lapwing at Loch Mor, Waterstein and 14 curlews below the Neist Car Park, late afternoon. There was a white-tailed eagle over the white beach at Lower Milovaig at 8:45am and again above the bottom road in Lower Milovaig at 12:45pm. 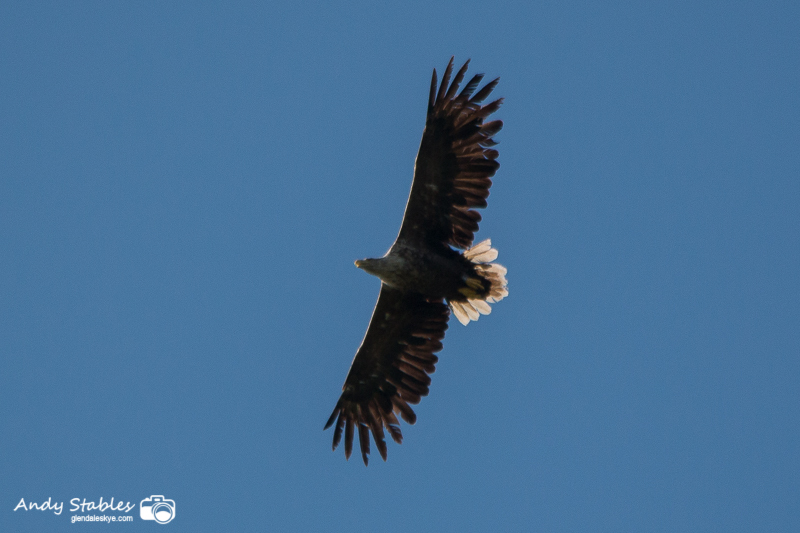 A juvenile white-tailed eagle was circling over Beinn Bhuidhe, Upper Milovaig from 3pm until 3:15pm. There was an otter at Meanish at mid-day. There was a small pod of at least two harbour porpoises in the Minch off Lower Milovaig at mid-day. There were two red-throated divers in the mouth of Loch Pooltiel at mid-day and three returning winter-plumage black guillemots were back on the loch today. There was a woodcock and a flock of 25 goldfinches in the garden at 1 Lower Milovaig, early afternoon. There were six eagles soaring over Dunvegan Head (two golden eagles, two adult white-tailed eagles, two juvenile white-tailed eagles) and another juvenile white-tailed eagle over the Lower Milovaig common grazings at mid-day. There was a late gannet heading down the Minch at mid-day. Two very vocal peregrine falcons were being mobbed by a buzzard over croft 2 Lephin at 2pm. An adult white-tailed eagle was plunging very low over the white-beach at Upper Milovaig and almost landed a couple of times before heading around towards Pollosgan at around 9am. An adult golden eagle was being mobbed by a peregrine over croft 2 Lephin at around 2pm. Two adult white-tailed eagles flew along the bottom road in Lower Milovaig towards Meanish at sunset. There were six eagles over Dunvegan Head, late morning: two adult golden eagles, two juvenile golden eagles and two adult white-tailed eagles. There was an adult white-tailed eagle off Dunvegan Head, late morning. A juvenile golden eagle flew from Dunvegan Head, across Milovaig and onwards towards Ramasaig, late morning. There was an adult white-tailed eagle on Dunvegan Head, late morning. There was a drake goosander on the white beach at Milovaig, late morning. There were two adult white-tailed eagles on Dunvegan Head, late morning. There were two chiffchaffs and a flock of 20 siskins in the garden at 1 Lower Milovaig. There was a late twite in MacDougal's Spruces at Lower Milovaig. There were a red-throated diver and a winter-plumage black guillemot off Meanish, late morning. There was a late chiffchaff in the garden at 2 Lower Milovaig at 10:30am. There was a late juvenile gannet off Pooltiel Fish Farm, late morning. 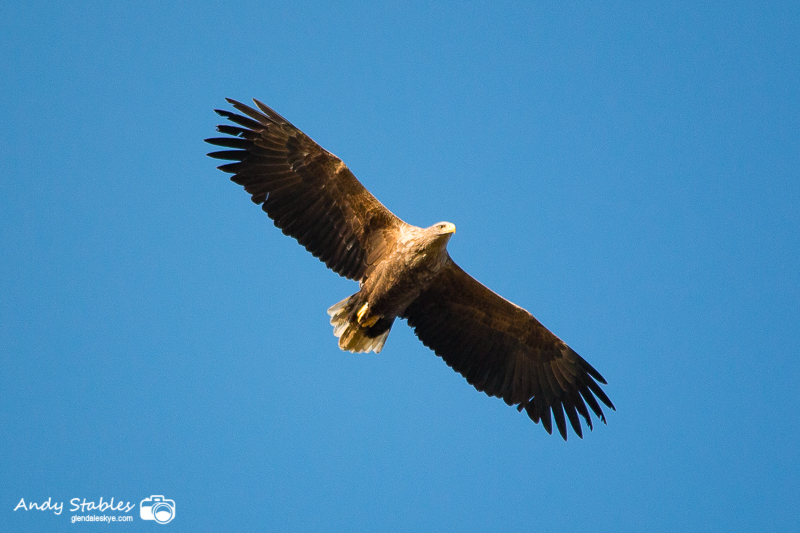 A white-tailed eagle was circling over the bottom road in Lower Milovaig at 7:50am. Two juvenile white-tailed eagles flew North along the bottom road in Lower Milovaig at 1:45pm. Two adult white-tailed eagles were circling over Beinn Bhuidhe, Upper Milovaig at 3:20pm and again at 4:40pm. There was a flock of 8 siskins in the spruces at 2 Lower Milovaig at 8am. An adult white-tailed eagle was circling over the white beach and skerries in Loch Pooltiel at 9:45am before heading off northwards. There a white-tailed eagle off Dunvegan Head, late morning, and a red-throated diver off Meanish. There was a late male blackcap feeding on apples in the garden at 2 Lower Milovaig, late morning. 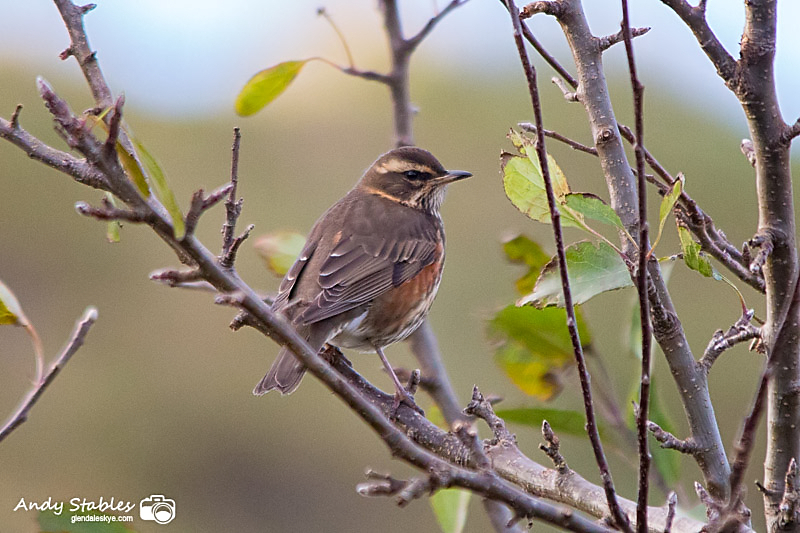 There was a flock of 25 redwings at 2 Lower Milovaig at 8:30am. There was single eider off the skerries in Loch Pootiel, late morning. Our local pair of white-tailed eagles flew north along the bottom road in Lower Milovaig at mid-day. A juvenile white-tailed eagle was over the Lower Milovaig common grazings at mid-day. There were six redwings on the top road in Upper Milovaig at mid-day. There were two whooper swans on Loch Mor, Waterstein at dusk. There was a brambling on the top road in Lower Milovaig, late morning. There were two adult white-tailed eagles putting on an aerobatic display off Dunvegan Head, late morning. A dog otter was fishing along the shoreline west of Meanish, late morning, that came ashore briefly. There were a pair of juvenile white-tailed eagles on Scorr Farm that circled over Loch Pooltiel, near the pier, before headng off towards Feriniquarrie, late morning. First redwings back this morning, with 15 at the Three Chimneys, Colbost that headed off towards Skinidin. Our local female white-tailed eagle made two terrific full-tilt dives at something on the shore below the bottom road in Lower Milovaig between 12:20pm and 12:45pm and kept returning several times to the same place. A herd of around 15-20 whooper swans went south over Lower Milovaig at 10am. Our male white-tailed eagle was circling low over the bottom road in Lower Milovaig at mid-day. 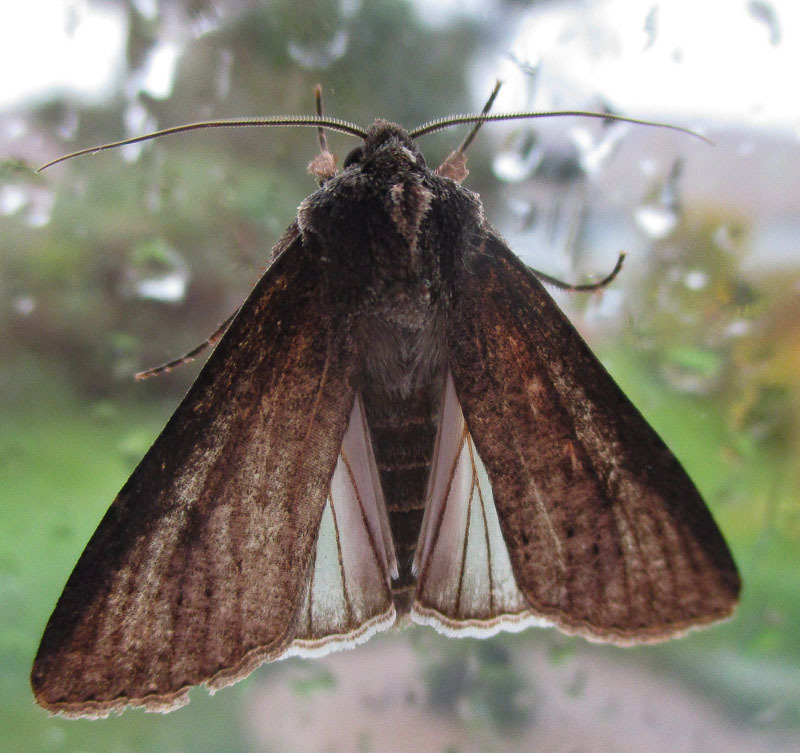 This pearly underwing moth trapped last night at Lower Milovaig is only the second ever record of this species on the Isle of Skye (Alison Stables). Our local pair of white-tailed eagles were circling around Dunvegan Head and Scorr Farm, late morning. Five barnacle geese flew south, low over Loch Pooltiel at 9:30am. There was a late wheatear below the bottom road in Upper Milovaig, mid afternoon. There were 16 whooper swans on Loch Mor, Waterstein at dusk. A skein of 120+ (probably pink-footed) geese went south over Lower Milovaig at 6:15pm. 60 pink-footed geese went south past Waterstein Head around mid-day (Jason Whetton). There was a flock of 12 whooper swans at Loch Pooltiel that headed north-west, early evening. Also a group of four brent geese on the white beach at Lower Milovaig at 6:30pm. This slender-striped rufous moth trapped last night at Lower Milovaig is only the third record for Skye in the last 40 years (Alison Stables). An adult white-tailed eagle flew over Loch Pooltiel at sea-level from Beinn Bhuidhe to Dunvegan Head at 10am. Our female white-tailed eagle was over Lower Milovaig, Beinn Bhuidhe and landed on Scorr Farm, late morning (Steve Lockett). There were three minke whales off Neist Point all afternoon, with a few occasions where the approached within 30 feet of the rocks. 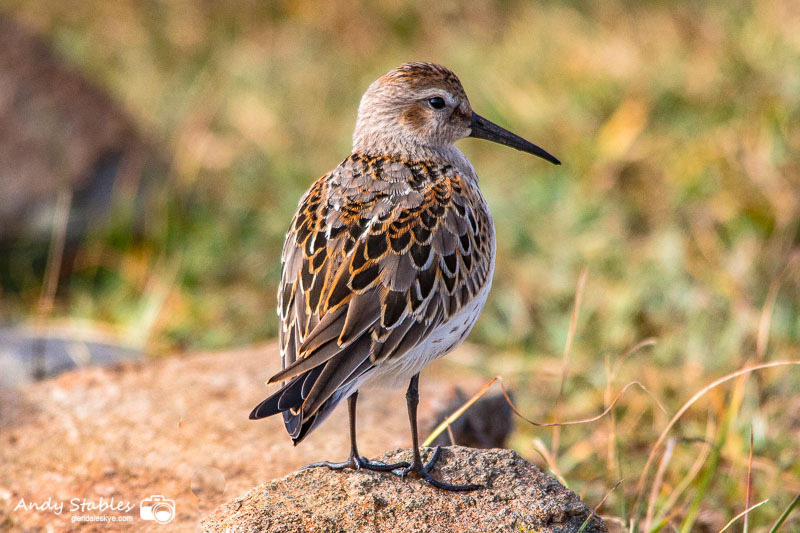 This very tame dunlin was wandering around on the grass at the tip of Neist Point, late afternoon, allowing approach within 8 feet. There was a ringtail hen harrier quartering the fields beside the loch, near Kinlochfollart, on the camp-site road at Dunvegan, early morning. A late whinchat turned up at the seaward end of the Milovaig loop, mid afternoon. Neist Point was surrounded by dolphins for an hour before sunset, with at least 20 counted. There was also a single minke whale. Our juvenile white-tailed eagle was over Beinn Bhuidhe, Upper Milovaig, late afternoon. A pod of six harbour porpoises were in Loch Pooltiel at the foot of the big waterfall, late morning. Our resident pair of white-tailed eagles put on a good showing below the top road in Lower Milovaig, late morning. There were four white wagtails on the bottom road in Upper Milovaig. A juvenile white-tailed eagle was circling very low over the white beach and Beinn Bhuidhe at Milovaig for 15 minutes at around 7:30am. 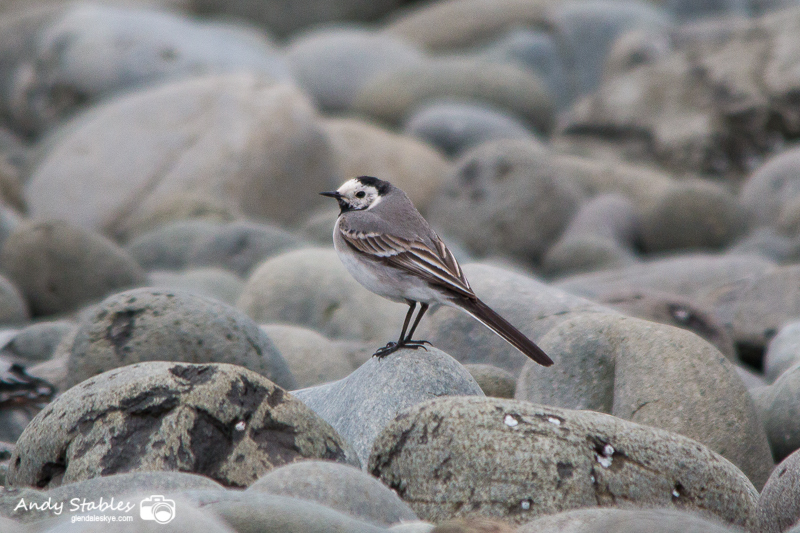 There were a white wagtail on the bottom road in Lower Milovaig and two late skylarks above the bottom road in Lower Milovaig, late morning. Two juvenile white-tailed eagles went north over Loch Pooltiel at 8am. There were two white wagtails in the garden at Lephin Cottage at 7:45am. There was a single female/juvenile leucorhoa wheatear on the Neist road at Upper Milovaig and a flock of 7 white wagtails in the curtilage at 1 Upper Milovaig, late morning. There were three female/juvenile leucorhoa wheatears and two white wagtails at Meanish, late afternoon. There were two adult white-tailed eagles on Dunvegan Head, late afternoon. There were three white wagtails above the top road in Upper Milovaig at mid-day and a flock of thirty twites at the seaward end of the Milovaig loop, late morning. There was a flock of 30 linnets on croft 2 Lephin, late afternoon. 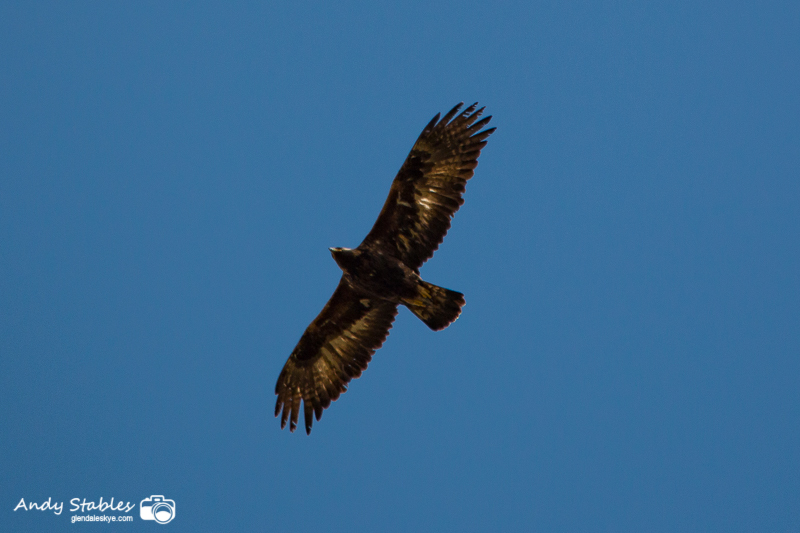 There were two immature white-tailed eagles circling over the white beach at Upper Milovaig, late afternoon. There were two juvenile grey wagtails on the road at Hamara Lodge at 7:30am. Two adult grey wagtails flew south along the bottom road in Lower Milovaig at 9am. Small passage of bonxies late morning, with one south through Loch Pooltiel and two separate birds west off Lower Milovaig. There was a juvenile white-tailed eagle in the mouth of Loch Pooltiel that landed at the foot of the cliffs below Dunvegan Head, late morning. 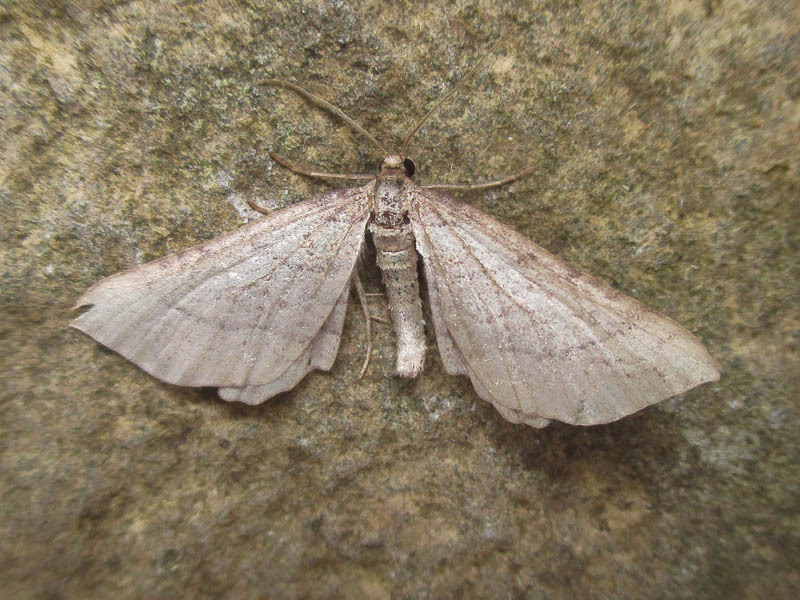 This dun-bar moth trapped at Lower Milovaig is only the second record for species on Skye in almost 40 years. 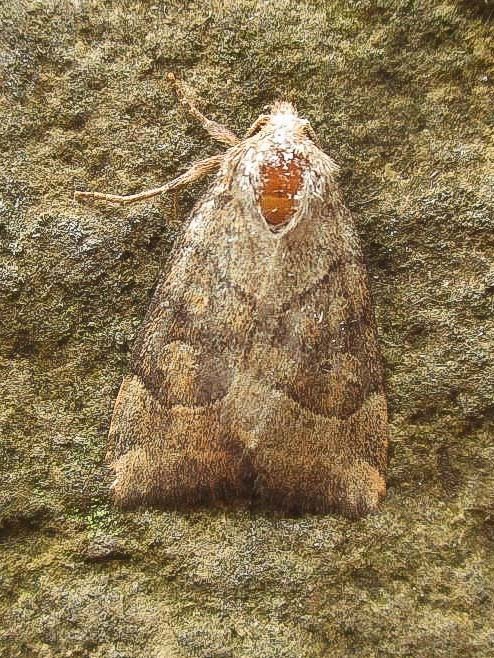 Another specimen was trapped in Sleat a few weeks ago but, prior to that, the were no records since 1981 (Alison Stables). Our local adult male white-tailed eagle was circling below the bottom road in Upper Milovaig at 3pm, gradually drifting towards Borrodale. There are now only three wheatears remaining around the Milovaig loop. A small pod of around 12 common dolphins came into Loch Pooltiel between 10am and 10:30am. Two spotted flycatchers turned up in MacDougal's Spruces but were also feeding on the shoreline. There was also a juvenile grey wagtail at MacDougal's spruces that, unusually, was perching in the trees. A ringed plover flew south over Loch Pooltiel, skimming the water, then onward over the white beach and inland towards Borrodale. A juvenile white-tailed eagle flew West over the white beach at Lower Milovaig at 8:30pm and an adult bird flew North over the white beach a few minutes later. A pod of at least 20 common dolphins came into Loch Pooltiel just after 4pm and went as far as the Black Beach before heading back out again around 4:20pm. There was a large pod of common dolphins off Orbost (Calum Waverley). There was a juvenile golden eagle at Lorgill at 2pm (Calum Waverley). There was an adult white-tailed eagle at Ramasaig at around 3pm (Calum Waverley). An otter was feeding on the Scorr Farm side of the Black Beach at Feriniquarrie, eating a lobster on the rocks then catching and feeding on fish in the water, late evening (Calum Waverley). There was a white-tailed eagle at Borrodale mid afternoon and a second bird at Upper Milovaig at the same time. There was a swift wheeling around over Café Lephin and the houses in Lephin township at 6:30pm. These are extremely rare visitors to Skye but the island is currently experiencing an unusual influx. There were small groups of dolphins and porpoises seen from the boat off Lower Milovaig, Neist and Moonen Bay at 6am (Brian Smith). There were an adult and juvenile peregrine falcon over the bottom road in Lower Milovaig at 8am. The juvenile was calling loudly. Our local pair of white-tailed eagles were circling together over the bottom road in Lower Milovaig at 3:40pm. A peregrine falcon flew over the bottom road in Lower Milovaig carrying a small bird at 8am. There was a minke whale in Oisgill Bay at 10:15pm. There were two minke whales feeding in Loch Pooltiel at around 8pm, within 10 metres of the shore around 200 yards north of Meanish. Their blows were echoing around the loch. There was an arctic skua at Oisgill following the creel boat heading back to Pooltiel at 3pm (Brian Smith). An immature white-tailed eagle flew North along the bottom road in Lower Milovaig at around 7:15am. There was a pod of at least 6 common dolphins putting on an amazing display of breaching and splashing in the Minch off Lower Milovaig at mid-day. There is still a single late cuckoo calling at Lephin. There was a juvenile white-tailed eagle tumbling, as it was mobbed by gulls, over the white beach at Lower Milovaig at 7pm before heading over to Feriniquarrie. There was a single harbour porpoise in the mouth of Loch Pooltiel at 8pm. Wheatears around the Milovaig loop have all fledged their first brood this week. A pod of 30-40 common dolphins were in the mouth of Loch Pooltiel at 8:45am and headed round towards Oisgill (Colin Heath). Belated report of a pair of Great White Egrets on the Hamara River "a few weeks ago" [early May] (Paddy Wilding). There was a house martin feeding over the white beach at Lower Milovaig, early morning. There were two migrant house martins feeding around the sea-cliffs on the Lower Milovaig grazings, early afternoon. The first baby blackbirds and house sparrows have fledged this weekend. The first midges were biting tonight at Milovaig and Lephin. The first singing male sedge warbler was back in territory at Lephin, early morning. There was a group of 5 summer-plumage dunlins at Meanish, late morning. A peregrine falcon was hunting at the seaward end of the Milovaig loop at mid-day. A female kestrel took a wheatear on the top road at mid-day. An adult white-tailed eagle flew North along the bottom road in Lower Milovaig at 12:40pm. The first early purple orchid was in bloom at Lower Milovaig. The bluebells are now widely in bloom around Lower Milovaig. Two white-tailed eagles, one adult yelping, flew North along the bottom road in Lower Milovaig at mid-day. A white-tailed eagle was fishing in the mouth of Loch Pooltiel off Meanish Pier at 9pm. A white-tailed eagle flew from Waterstein over Oisgill Bay towards Milovaig at sunset. The first cuckoo was calling at Lephin, early evening. The first common sandpiper was calling on the white beach at Lower Milovaig at dusk.. 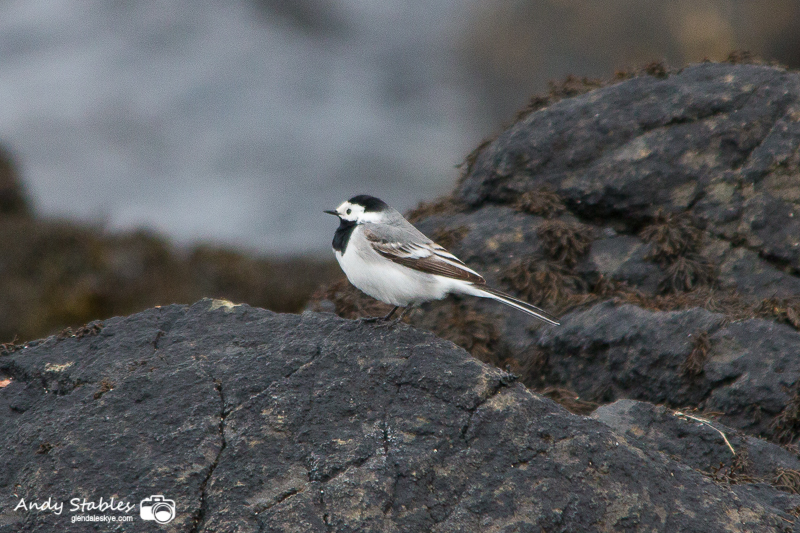 There were four white wagtails at Meanish Pier amongst a small fall of pied wagtails, meadow pipits and two leucorhoa male wheatears. There was a singing male linnet in a rowan near Meanish Pier. 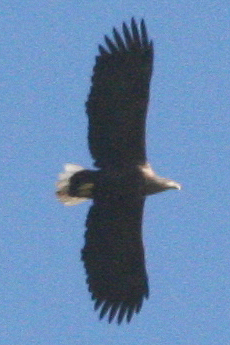 A white-tailed eagle flew south over Borrodale at 5:30pm. A skein of 80 geese went North over Lower Milovaig, mid afternoon. A flock of 25 golden plovers flew north over the bottom road in Lower Milovaig, late afternoon. These two juvenile golden eagles were stopping traffic in Lephin as they soared very low over the Café, Church and Post Office at around 2pm. There was a blackcap briefly in her garden at Feriniquarrie (Sue Mansell). There are now two swallows at Upper Milovaig. Single leucorhoa male wheatear below the top road in Lower Milovaig, mid-day..
First swallow was back at Upper Milovaig, early morning. The first linnet was back in Glendale today, with a single bird briefly on the feeders at 2 Lower Milovaig. 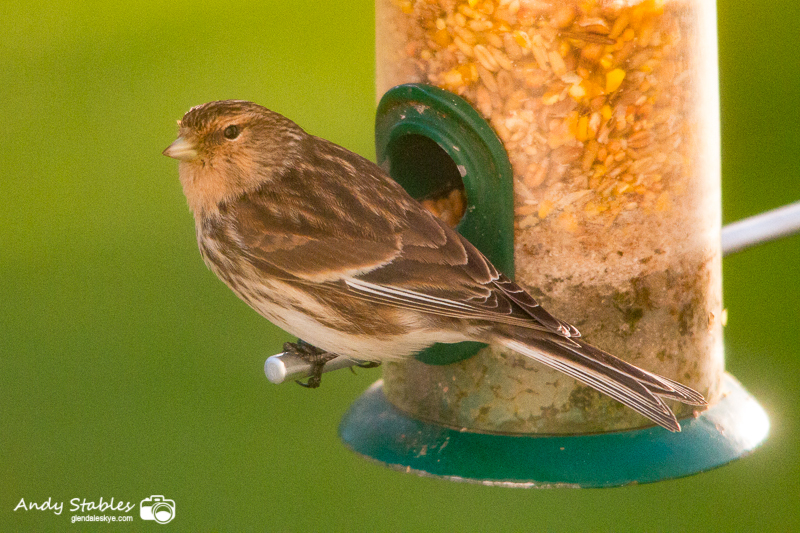 The first twites were back in Glendale this morning, with three on the bird feeders at 2 Lower Milovaig. A flock of 40 golden plovers flew west over Borrodale at 10am. A sub-adult and a juvenile white-tailed eagle were soaring over Beinn Bhuidhe, Upper Milovaig at mid-day, they locked talons briefly during a skirmish, before heading over the hills towards Galtrigill. A stunning male merlin was hunting the meadow pipits below the bottom road in Lower Milovaig at 11am before heading off towards Pollosgan. There has been a singing male reed bunting in the willow scrub at Lephin since yesterday. There were three sand martins near Kinloch Campsite at Dunvegan at 5:30pm. There was a singing male chiffchaff in the gardens at 1 & 2 Lower Milovaig, early morning. The first singing male willow warbler was back, in the gardens at 1 and 2 Lower Milovaig. This is two days earlier than our previous earliest arrival for this species which was in 2012. There were still a couple of redwings in the gardens too. There were two juveniles and an adult white-tailed eagle soaring over Loch Pooltiel, mid afternoon. One of the juveniles came over the loch to Lower Milovaig and on towards Oisgill Bay. This morning at Neist Point: Two shelduck flew south, a skein of 10 and a skein of 50 grey geese flew north up the Minch, there were five wheatears, many gannets heading north, huge numbers of auks on the sea, two red-throated divers in Moonen Bay, 1 bridled guillemot on the ledges. Shags, fulmars, kittiwakes, common & black guillemots and razorbills all with nests on the ledges. Early afternoon at Loch Mor: three goosanders, 6 goldeneye, 1 little grebe, a redwing. A male hen harrier came in off the sea out of fog at Meanish, tried catching some small stuff before heading off inland, late morning. Wheatears flooding in now with 13 at Milovaig (including 3 females and 2 leucorhoa males). Three redwings arrived at Lower Milovaig overnight. There was a goldcrest in MacDougal's Spruces, Lower Milovaig and a red-throated diver was calling on Loch Pooltiel. First wheatear, a male, was back in Glendale today below the bottom road in Upper Milovaig. An adult white-tailed eagle flew North along the bottom road in Lower Milovaig at 6pm. There were four gannets back in Loch Pooltiel for the first time this year. Lesser black-backed gulls are flooding back now with ten this morning at Hamara Parks. 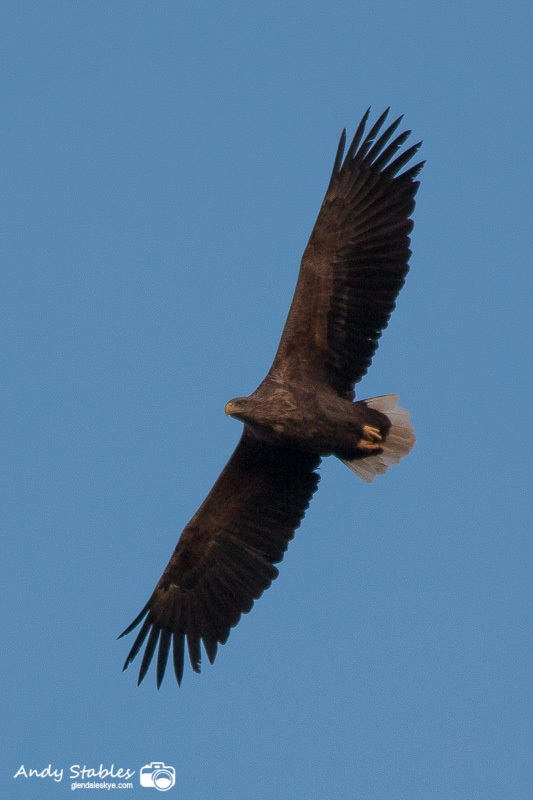 An adult white-tailed eagle flew low below the bottom road in Lower Milovaig and onwards to Pollosgan at 6pm. There was a white-tailed eagle soaring high over Scorr Farm drifting towards Feriniquarrie, early morning. There are now three lesser black-backs at Fasach. The first returning lesser black-back was at Fasach at 8am. There was a flock of 12 skylarks below the top road in Lower Milovaig with a few others dotted around the loop. There was a flock of five skylarks below the bottom road in Lower Milovaig, late morning. The first daffodils have opened in the garden at 2 Lower Milovaig. There was a report of 9 purple sandpipers at the tip of Neist Point (per skye-birds.com). 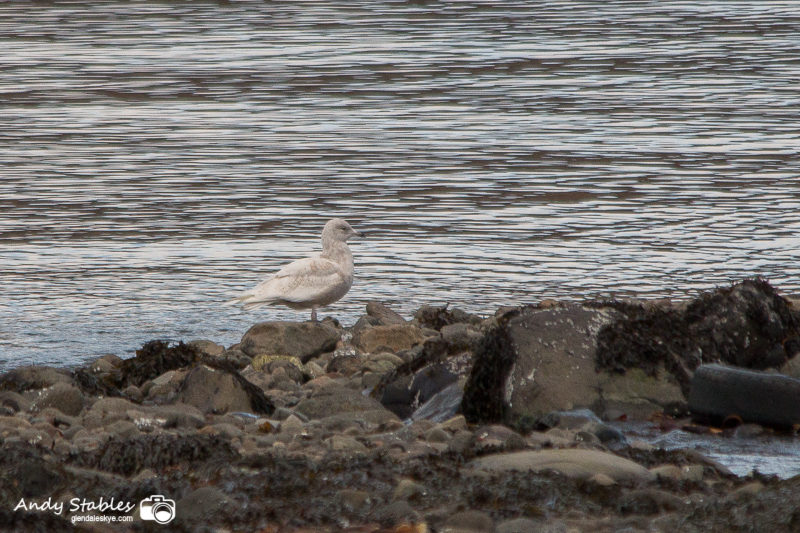 There was a juvenile iceland gull on the white beach at Lower Milovaig, late morning. There was an adult white-tailed eagle circling low over the garden at 2 Lower Milovaig at mid-day. A single lapwing flew south over Loch Pooltiel at 12:45pm. There was a black-throated diver off Meanish Pier, late morning. A female merlin flew across Loch Pooltiel from Scorr Farm to Meanish and then on along the shore towards Upper Milovaig, late morning. There was a tawny owl hooting on croft 4 Lephin, by the Holmisdale Road, at 6pm. 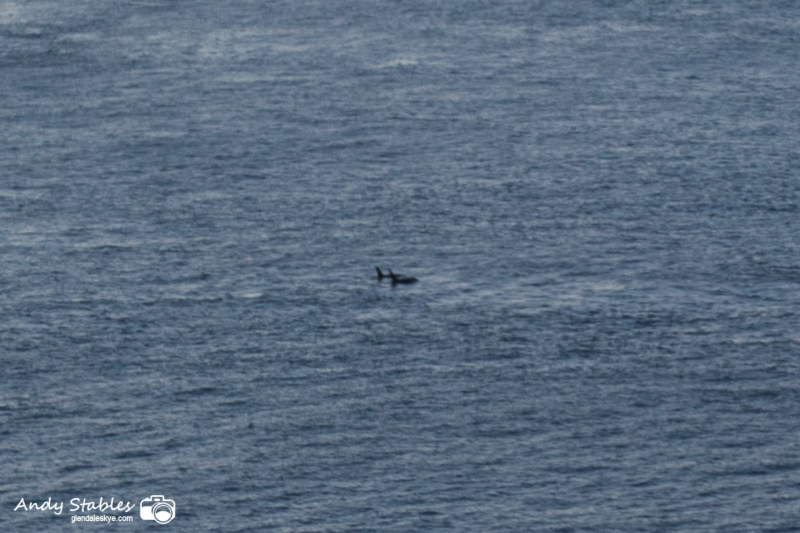 There were two orcas (killer whales) in the first bay, at foot of steps, at Neist Point at 4:50pm, heading towards Oisgill. There was a juvenile Iceland Gull on the white beach at Lower Milovaig at 1am. There was a great northern diver in Loch Pooltiel off Dunvegan Head, early afternoon. There were sixty two seals basking on the skerries, mid afternoon. 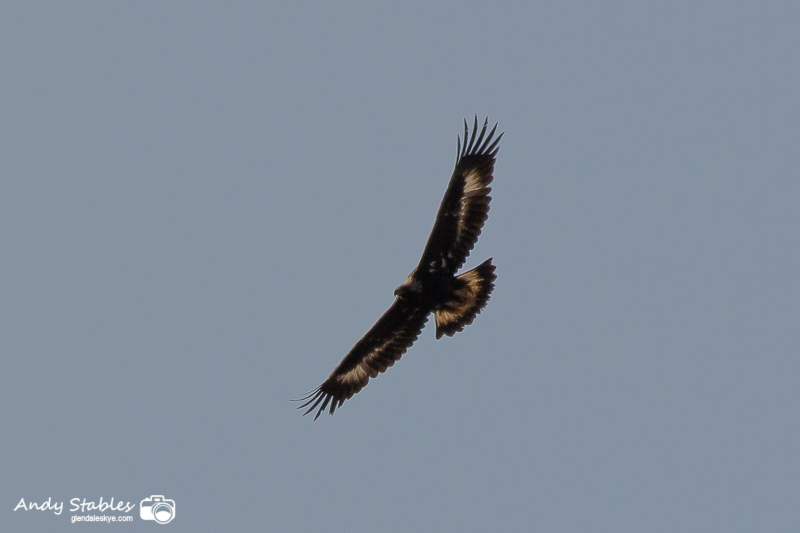 A white-tailed eagle flew low over the Hamara at Lephin and then across to Glasphein at 8:20am. The first returning meadow pipits were back today with three at Feriniquarrie. The first skylark was back on the top road in Upper Milovaig and the first oystercatcher was back on the white beach at Lower Milovaig. Two gannets flew north past Neist Point at mid-day. There were 5 knots at Neist Point, late morning. There were 8 goldeneye, 8 little grebes, 4 goosanders and 10 over-wintering lapwings at Loch Mor. There was a great northern diver off the seaward end of the Milovaig loop, late morning. The first snowdrops have come into bloom today in the garden at 2 Lower Milovaig. There was a single gannet out in the Minch off Lower Milovaig and a winter-plumage black guillemot off Meanish at mid-day. There was an immature white-tailed eagle circling over the Scorr Farm side of Loch Pooltiel at 1:25pm, gradually drifting towards Feriniquarrie.